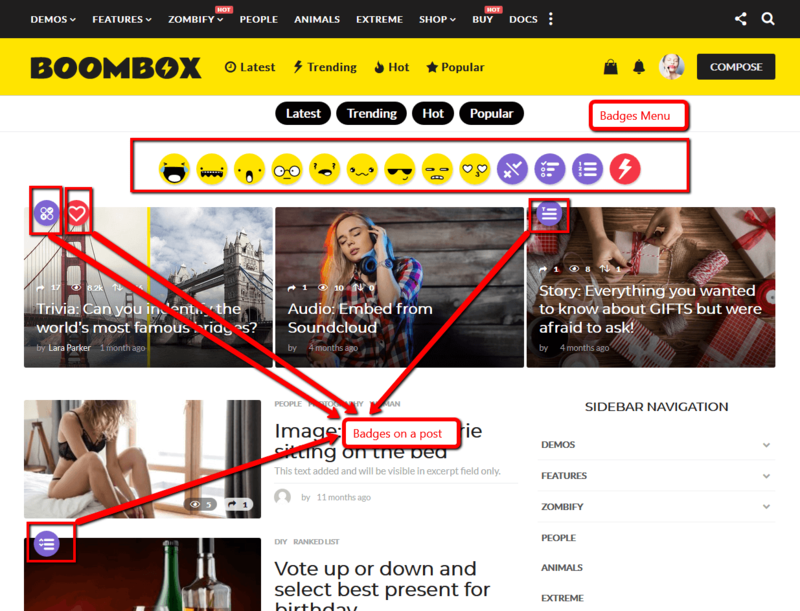 One of the most important viral features in Boombox Theme is combination of Badges, Reactions and Rankings. 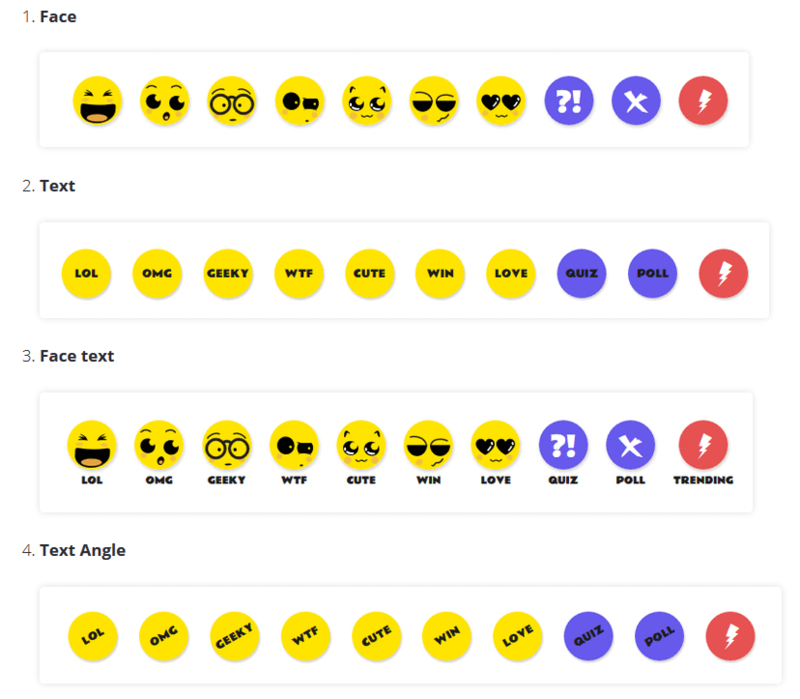 Badges is a relation and interaction of Reactions, Rankings, Categories and Tags. All above mentioned can be set as Badges. 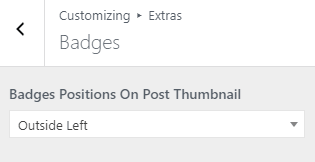 You can show Badges in Header and Badges will appear automatically on posts thumbnails. 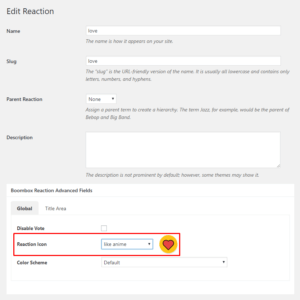 If post get enough reactions according to settings in Reactions (after users enough clicks) then that reaction will be visible as Badge automatically on Posts Thumbnails. 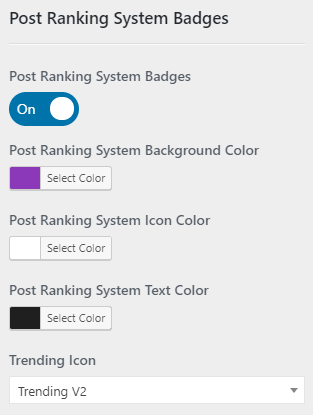 If post have enough views or comments or other condition which is set from Post Ranking System settings then Badge for that condition will appear on a post thumbnail. 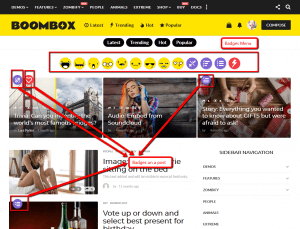 To prevent the home page from messing-up – the amount of badges is restricted to 2. The rest of them (if there is any) will be shown on the inner/single post page. 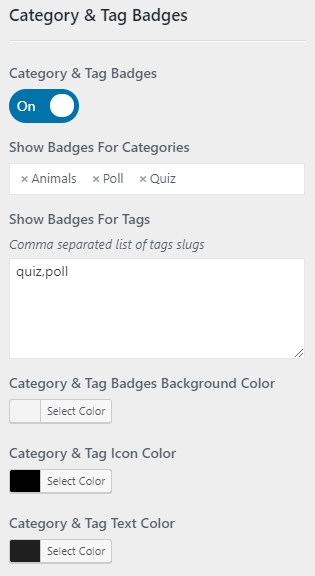 The priority of badges: trending, category, tag, reaction. We highly recommend to read about Post Reaction System and Post Ranking System to get full understanding of how Badges, Reactions and Rankings works. # How to Disable Badges Menu in Header? # How to show or hide Reactions at the Bottom of the post? There are 2 ways to show or hide reactions in Posts. 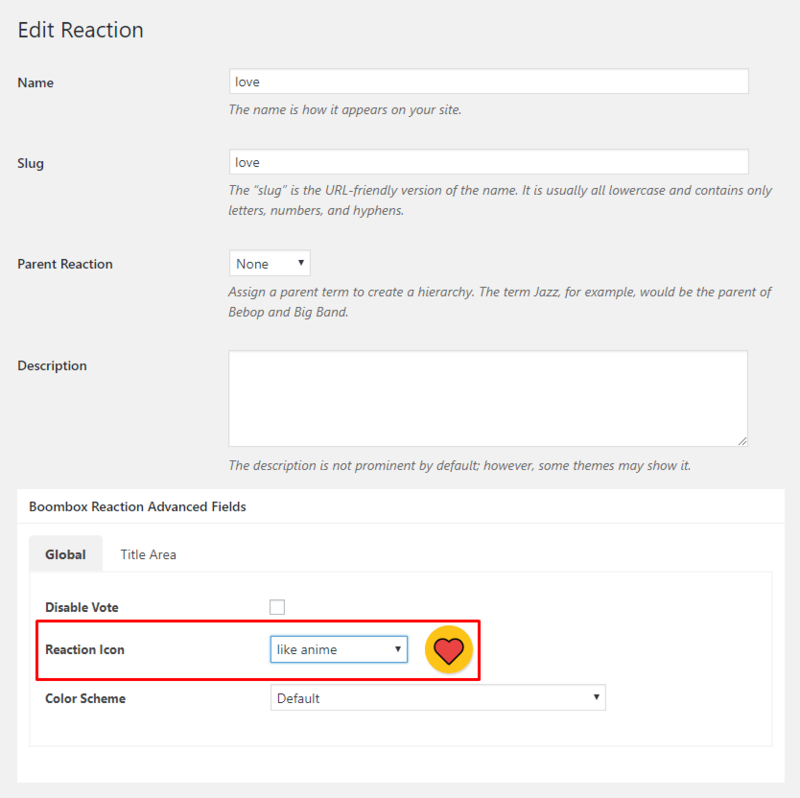 By this way you can Disable reactions Globally on all posts. Go to Customizing ▸ Extras ▸ Badges ▸ Reactions = Off. 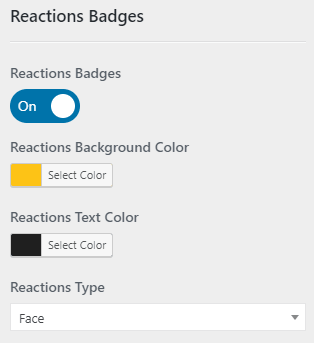 Please note that disabling Reactions here doesn’t mean they will be disabled in Badges Menu. By this way you can just hide Reactions from Posts page and not disable. 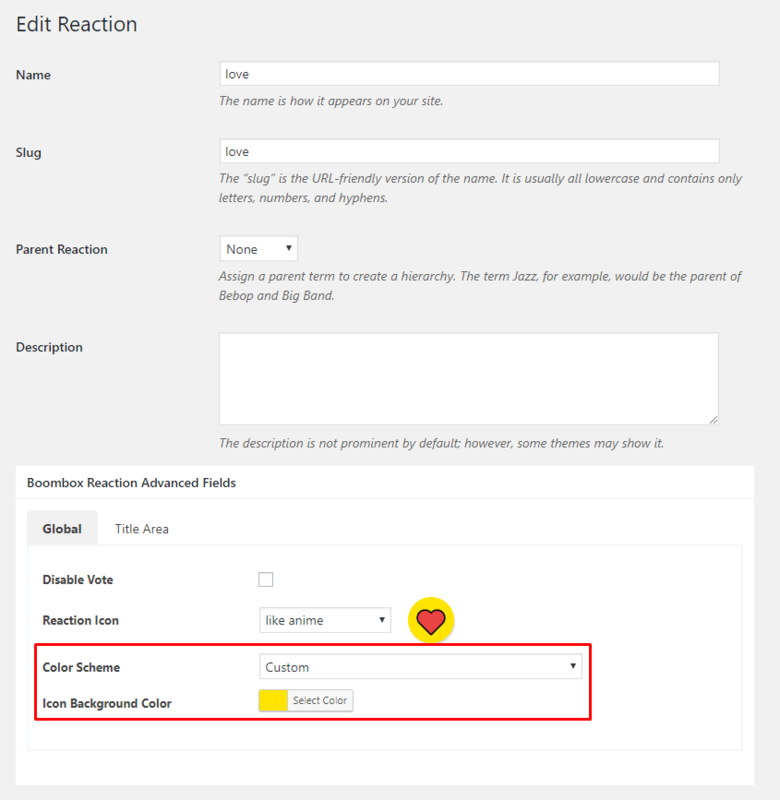 Go to Customizing ▸ Single Post ▸ Main ▸ Sections where you can show or hide or change position of the reactions. # How to change color for specific Reaction? Go to Dashboard ▸ Posts ▸ Reactions ▸ Edit reaction and scroll down to Color Scheme where you can select color from color-picker. 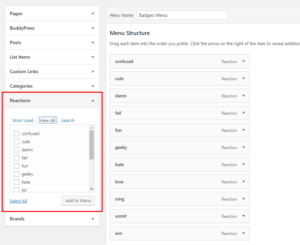 # How to add reactions in Menu? 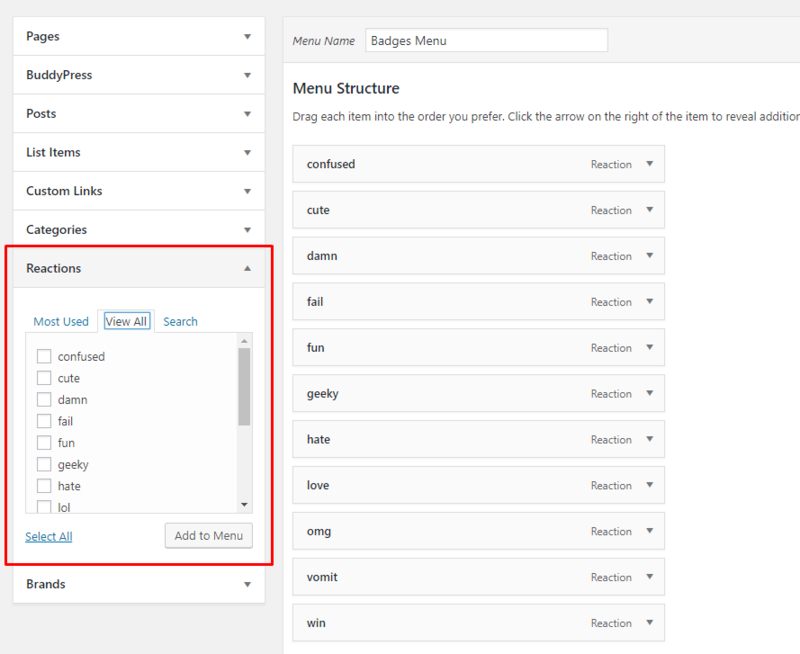 Go to Dashboard ▸ Appearance ▸ Menu and from Menu sidebar on left side add Reactions in Reactions Menu. Please consider that you can have different settings in your Header and Menus. # How to add icon to Reaction? 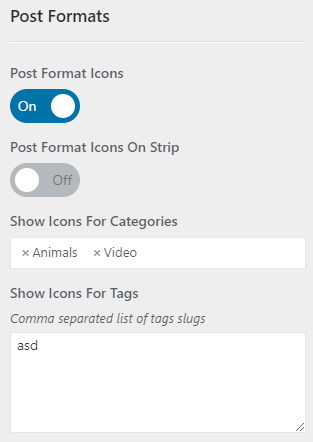 Go to Dashboard ▸ Posts ▸ Reactions ▸ Edit reaction and scroll down to Reaction icon, where you can select Icon from dropdown icons list. 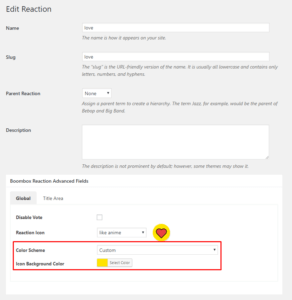 # How to add custom Reaction? Please note: Icons format should be .svg, so emojis will look good also on retina displays. Optimal size for reactions should be 150×150 px.